Ellen Sebastian Chang is a director, writer and the creative director for The World As It Could Be, using arts to teach the Universal Declaration of Human Rights. Ms. Sebastian Chang was the cofounder and artistic director of LIFE ON THE WATER, a national and internationally known presenting and producing organization at San Francisco’s Fort Mason Center from 1986 through 1995. In 2015 she collaborated with Oakland/LA artist Maya Gurantz to create A Hole in Space (Oakland Redux) voted “Best Underground Public Art Project”. In 2013 she was the Consulting Producer for HBO’s Whoopi Goldberg Presents Moms Mabley. Her 1982 directorial and writing debut called Your Place Is No Longer With Us was created in a Victorian mansion and told the story of the coming of age of a ten year old biracial girl; a meal of black-eyed peas, mustard greens and cornbread cooked throughout the performance and was served to the audience at the end of the play. Your Place Is No Longer With Us is published in West Coast Plays and won a Bay Area Critics Circle Award for New Directions in Theater. She has directed and collaborated with some of the best artist in the Bay and Beyond in opera, dance, theater, spoken word and performance art including Gamelan Sekar Jaya (Balinese Dance Drama Kawit Legong and Kali Yuga); Aya de Leon (Thieves in the Temple); Amara Tabor Smith’s Deep Waters Dance Theater (Our Daily Bread , He Moves Swiftly… and House/Full of Blackwomen); Oakland Opera Theater (Philip Glass’ Akhenaten); KITKA and Ukrainian composer Mariana Sadvoska (The Rusalka Cycle); Felonious and One Ring Zero(Stateless: a Hip-Hop Vaudeville). 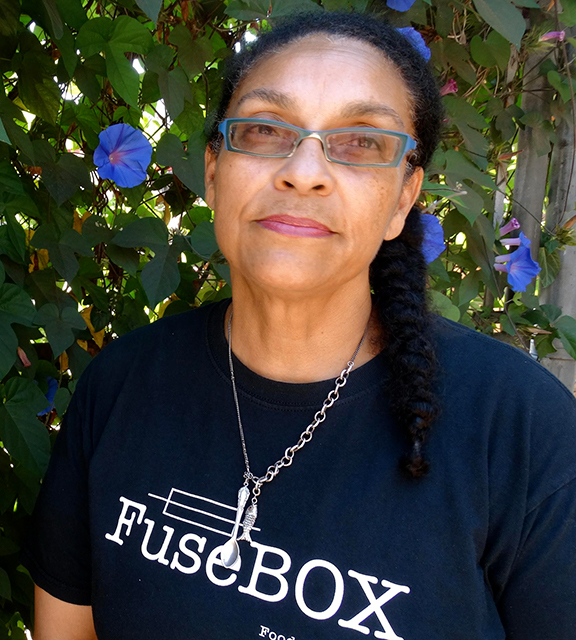 She is a 2016 recipient of the Creative Capital grant for her collaboration on House/Full Of Blackwomen with Amara Tabor-Smith, and she is the Owner and General Manager of FuseBOX Restaurant in West Oakland, listed as one of the top restaurants in the Bay Area.